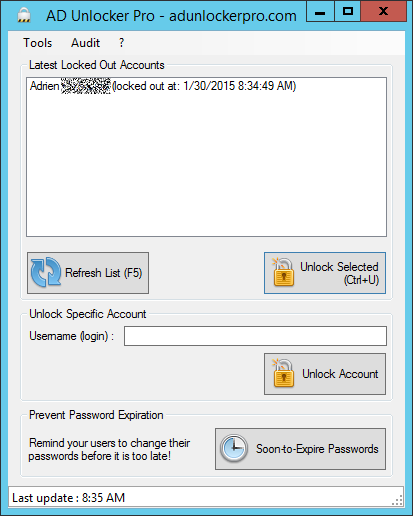 AD Unlocker Pro allows every IT Pro and Microsoft Windows Server System Administrator to manage locked out users. In its latest version, it also helps them to prevent helpdesk tickets/calls by reminding users when their Windows password is about to expire. or learn more about AD Unlocker Pro features.